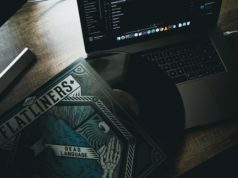 Every year, Google organizes an annual conference for Developers where Google showcases the in-depth information about the upcoming projects, Android, Google Web Toolkit, App Engine and lot more. 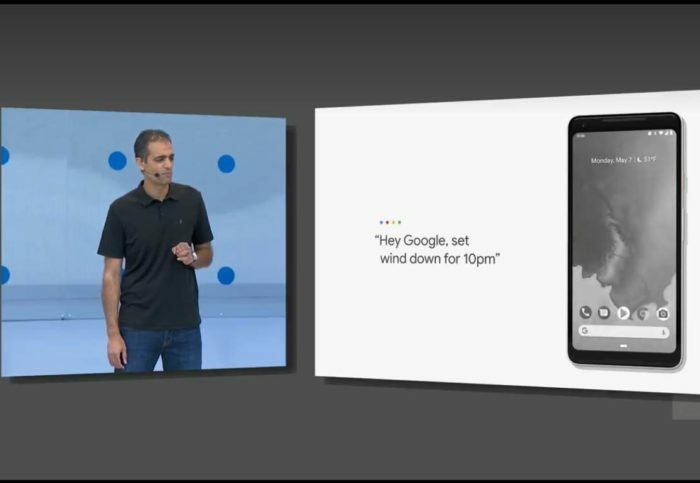 For a regular user of Google products, Google I/O is like a series of updates that they are going to experience later in the current year. This year, Google announces Android P Beta version and showcased some of the new features that we are going to experience probably in the new Pixel and other Smartphones as well. 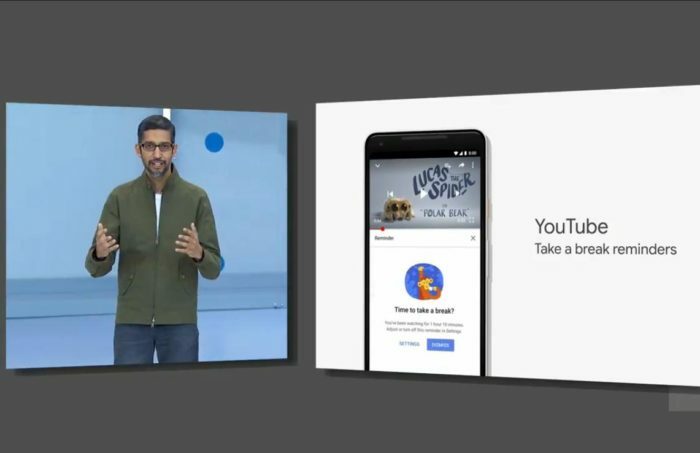 Apart from that, Google Announced some of the exciting updates in Gmail, Google Assistant, Google Photos, Google Maps and more. Let’s take a closer look in all of these, One by one. Google is trying really hard to make Google Photos better and better and no doubt, they are going really good. So, to make Google Photos even better, Google has updated the Google Photos with a couple of new features. 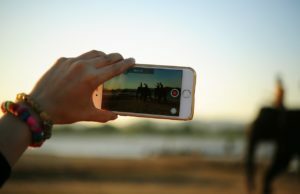 Using AI, Google Photos can fix the brightness of the dull pictures which are captured in bad lighting conditions. With just one tap, Google Photos will fix the brightness of the photo. Apart from that, there is another really really amazing feature that is now inbuilt in Google Photos and that is reading Documents. 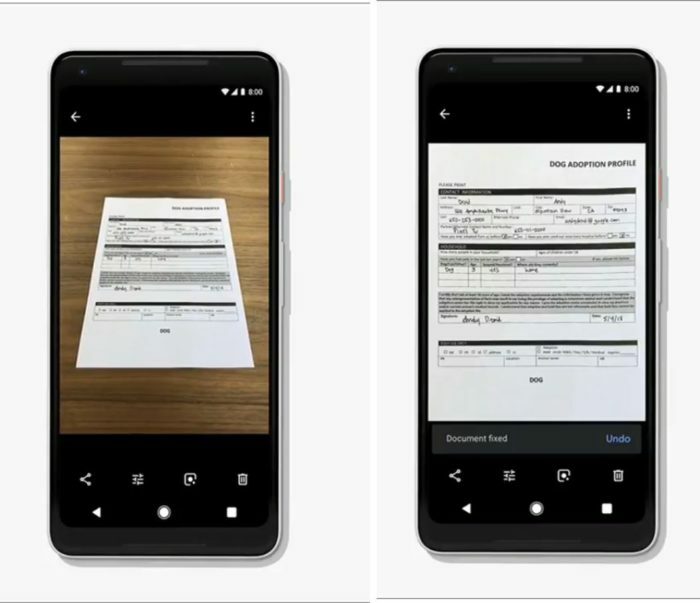 Just take a photo of a document from any angle, Google Photos will clutter out all the unnecessary things and give you the text that you need. The ready-to-use document will also get converted to .pdf format. Another thing that is also pretty cool is the Color Fix. You can popout the colors of the background while keeping the subject in its actual colors. See the picture. 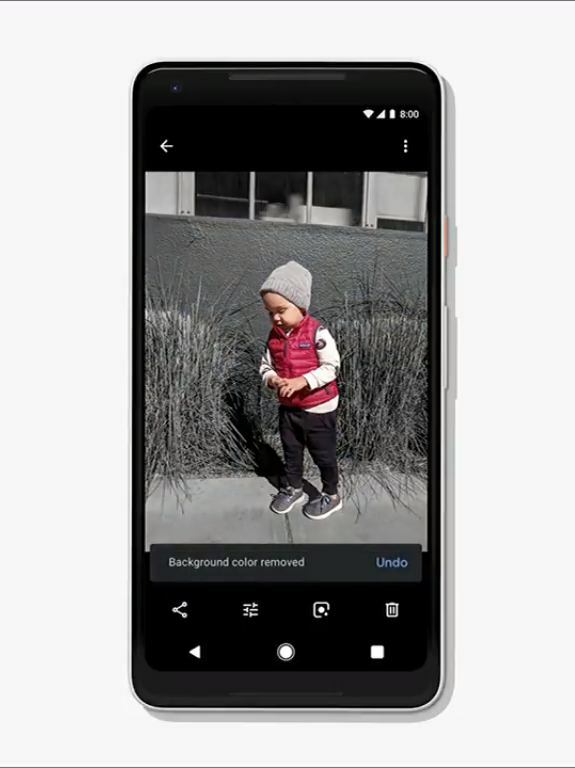 And last thing, if you have any Black & White Photos in your phone, Google Photos will automatically add colors to it. Cool right? Google Assistant is doing great on the Android Smartphones, Google Home, and other Assistant packed devices. No doubt Google Assistant is any day better than SIRI. With that, Google Assistant is now even more powerful. Google is trying to make Google Assistant more as a personal assistant than a Digital Robot Assitant and that is why Google is making its Assistant capable for ‘Continued Conversation’ where you don’t need to say ‘Hey Google’ or ‘Ok Google’ everytime before initiating the request. Just say ‘hey google’ once and you can request series of things to do. And yes, Google Assistant is now capable to perform Multi Actions in a single request. 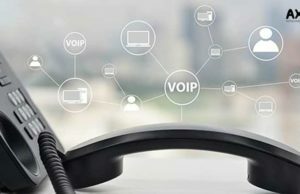 Another update is the Calling. It is really easy for Google Assistant to order Frappuccino from nearby Starbucks but what if recently opened small restaurant which has really delicious food with them doesn’t have online setup for taking orders? 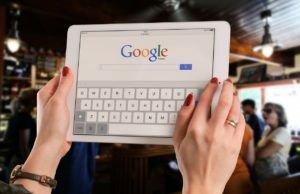 Google is working for all those small businesses who don’t have Online Order Processing system ready. Google Assitant will literally call to that restaurant to book table for 4. It may sound confusing but watch the video below to understand what I’m trying to say. Google is partnering with Starbucks, Domino’s, Dunkin Donuts and few other Food businesses for Food Pick-up & delivery using Google Assistant. You can ask Google Assistant to get delivered 2 large pizzas at your place. Really cool. Last but not the least, you can now use Google Assistant in Google Maps as well. Google Lens is really fascinating. Last year, in Google I/O 2017Google I/O 2017, Google announced Google Lens in Google Photos for Pixel device but now, this year, Google has done something really good and introduced the Google Lens in the default camera app of other Android Smartphones as well. 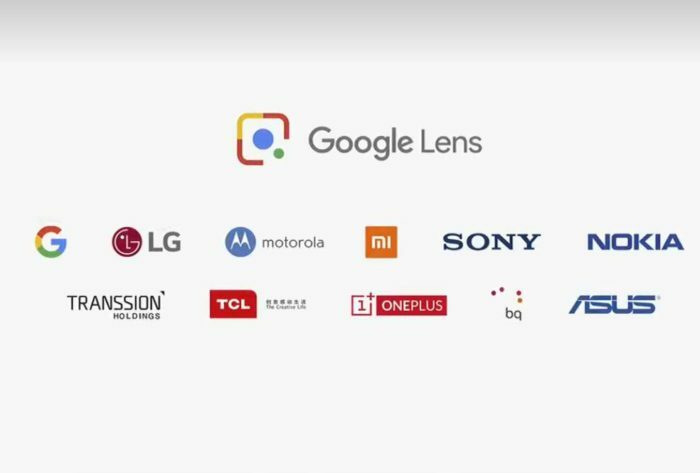 You will see Google Lens in the camera app of Pixel (obviously), Moto, Xiaomi, LG, Sony, Nokia, OnePlus, TCL and few other brands. 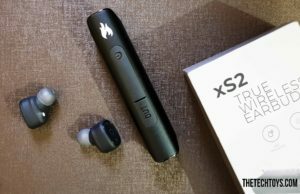 Samsung already has Bixby (Ouch!). Google Lens is really got some cool features that really connects the digital processing with the real world. 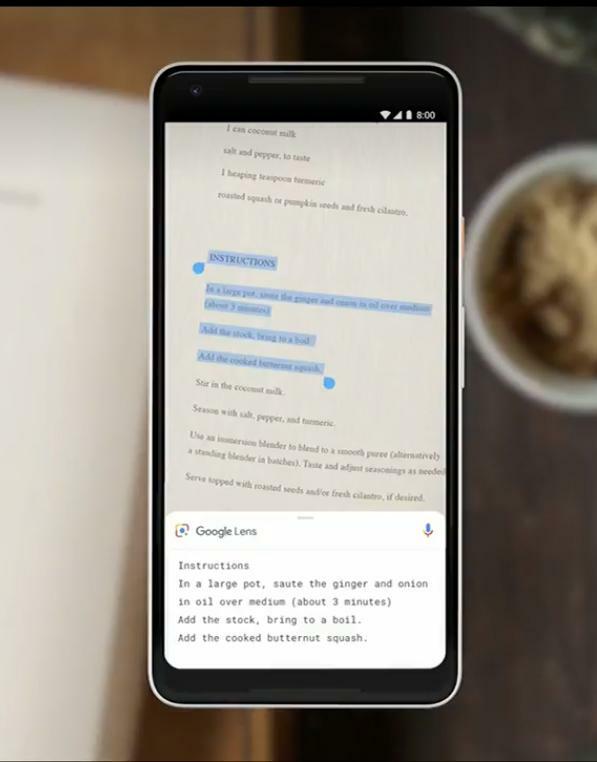 Smart Text Selection is really cool where you can actually select the text to copy from the Google Lens. We can also do Google Search right from the Google Lens. Hovering Google Lens on the products will open up the online stores where you can buy the product. Google is now using VPS (Visual Positioning System) to recognize places on Google Maps. If you are an avid Google Map user then you are going to get a lot of help with this. We can actually use the camera to find our way shown by Google Maps. 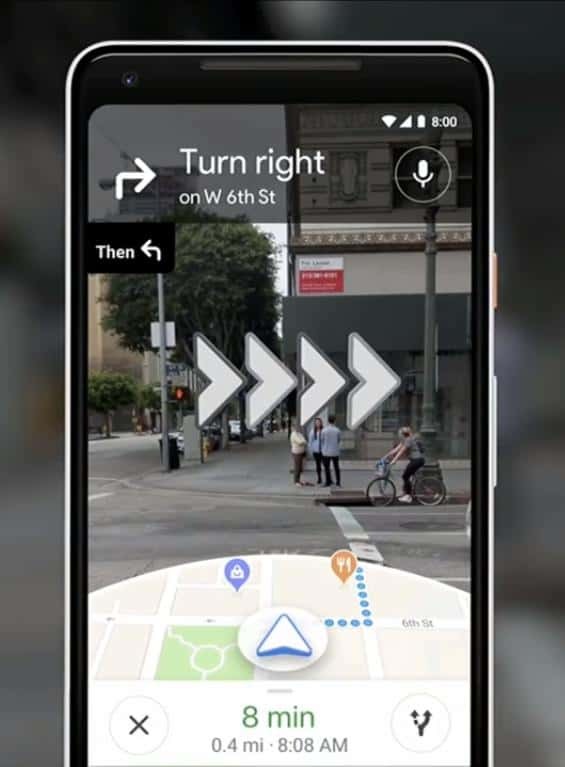 All we need to do is to point the Google Lens over the street and it will show us the right path. The Walking Navigation thing is the combination of Camera app and Google Maps. There is another feature in Google Maps called ‘For You’ where you can find your places on the basis of your previous visits. Using AI, google will show you the places on the basis of places you rated, Cuisines you liked, places you visited etc. That is the most interesting announcement for all the Android users out there. First of all, Android has completed 10 amazing years. 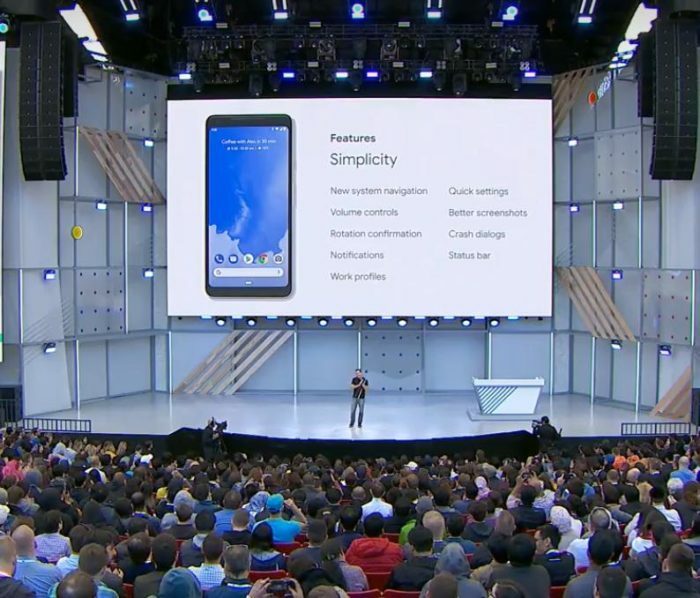 With Android P, Google is really focusing on Simplicity and there is the new term called Digital Wellbeing. Android P is coming up with very small but really useful features that are going to enhance the all over Android Experience. There is whole new Navigation in Android P, new Volume controls and Screen Rotation confirmation, better notifications, Adaptive Brightness and other small significant changes. Now let’s talk something about Digital Wellbeing. Technology is indeed making human life easy but human are getting addicted to it and they really don’t know where to Stop. 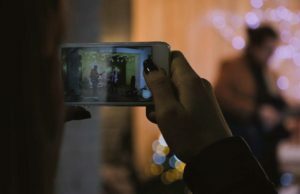 Using phone instead of spending time with Kids and Family is not what technology wants us to do. So, Google is taking a step ahead with Digital Wellbeing where we can restrict ourselves to use the smartphone. 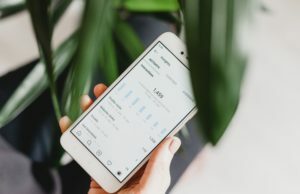 Android P is coming up with Android Dashboard where we can monitor our all-day activity. We can see the number of times we unlocked the phone and how many notifications we received in a day. Moreover, there is an interactive pie chart showing us the time distribution according to apps usage. We can see how much time we spent on which app. 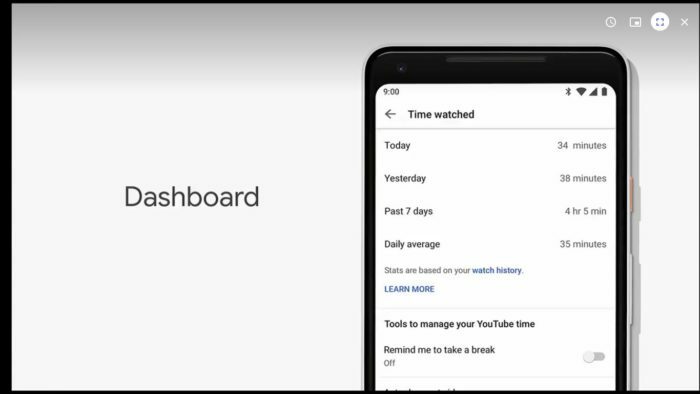 Youtube will also now show you ‘Take a break’ reminder if you are watching Youtube videos from longer hours. Apart from that, there is another feature and that is App Timer where you can set time for apps. When time is up, that app will fade out for certain period of time. Do Not Disturb feature is now more strict than before. 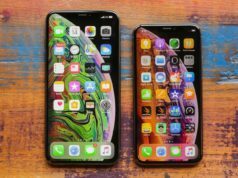 The screen of the phone will turn to grayscale which is less stimulating to the brain and will help you in keeping the phone aside before sleeping. 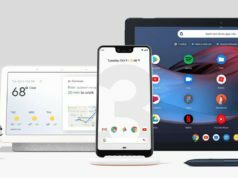 Android P Beta is announced for OnePlus, Nokia, Xiaomi, Oppo, Vivo, Essential, Sony and for Google Pixel smartphones. So these were some of the big announcements in Google I/O 2018. Apart from above-mentioned announcements, there were some updates about Google News app which is now more advanced. We can get the snippet of the news from the Google News home screen. Moreover, the news feed will be more personalized and you will get the news from your trusted source. Another announcement was from Waymo which is a subsidiary of Google’s Parent company, Alphabet working on Self-Driving cars. Waymo is starting their very first self-driving cars services in Pheonix where you can call a Self-Driven Waymo car to pick you up and to drop you at the destination. Just like an Uber but without a human Driver. So that was all about the Google I/O 2018 announcements. In case you missed the LIVE stream, you can watch the video above in the post.